K-Rated Isolation Transformers - CORE POWER INC.
Green_LeafMeets and Exceeds DOE 2016 Minimum Efficiency Standards! Subjecting commercial and industrial electrical systems to a harsh, “polluted” electrical environment increases downtime, maintenance costs, and lost productivity. Maintaining spike-free voltage and keeping electrical noise away from sensitive digital circuitry controls, increases the reliability of electronic equipment, contributes to the overall integrity of data, and enhances workflow and productivity. 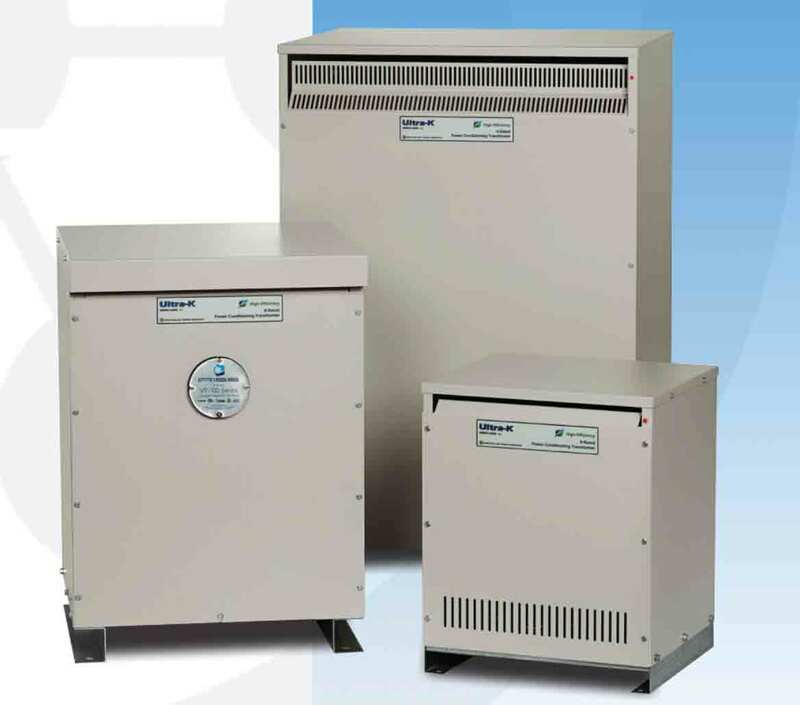 The ULTRA-K Series 600K-he is a high-efficiency, K-rated, power conditioning transformer, specifically designed to provide a high degree of electrical noise attenuation and transient voltage suppression to sensitive electronic loads. Offered with (4) different K-factor ratings (K4, K7, K13, and K20), the ULTRA-K is fully-compatible with non-linear loads … handling the high harmonic currents associated with such loads. The ULTRA-K meets and exceeds the high efficiency levels defined by the U.S. Department of Energy (DOE) 2016 Standard, thus providing energy savings under both linear and non-linear loads.